As we have already mentioned that we are the only manufacturer who always authentically improvises the quality and techniques of manufacturing products. Moreover the guidance of our founder Mr. Bhikhabhai Patel has added the qualitative value to our enormous products. As our motto and strength, to manufacture the products according to consumer’s preferences which are designed to withstand every working condition. We are motivated by the objective to manufacture finest material handling products that save labor and get rid of injury during loading and uploading process. The main strengths of our material handling are equipments are in easy operations and tough performance. In short, we always depend only on our skill and technology. 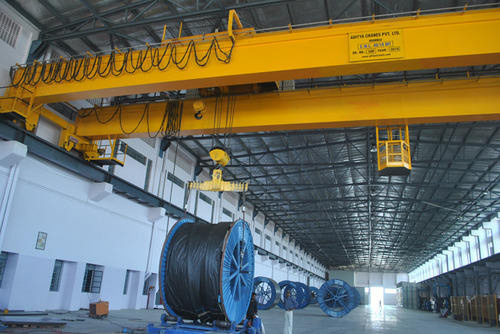 Our vast experience in manufacturing of various types of cranes shows our immense productivity capacity and high goodwill of company in the market and as compared to the other companies we are at the leading position in supplying the varied forms of cranes as per the consumer’s preferences. With the tremendous help of our latest and ultra modern production set-ups we are able to manufacture the products with minimum costs. Our manufacturing unit is one of the main key powers for the exemplary price deals. 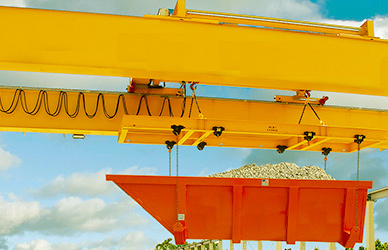 Our excellent range of cranes with least maintenance cost is available with all required features and safety measures. We always ensures about the minimum price tags of the cranes with standard quality. We are the only manufacturer who is giving extraordinary price offers for the different kinds of cranes in India. We are the well known cranes manufacturer in Ahmedabad with wide assortment of customer satisfaction by providing the honest price offers to them. It is the one of the major reason of success of our company in the market. Also, we are concerned to exporting the wide range of cranes to many countries with the perfect price ballot. Due to our efficient working skill and genuine price offers, even abroad companies likes to prefer our company products. MODHESHWARI ENGINEERING AND FABRICATORS is the well aware and innovative producers of developed & safe range of the cranes with very progressive features. Our improved ranges are constructed with confirming international norms and conditions. Construction of these crane as well as integrated parts is concluded with complete accordance to our industrial conditions. These cranes are designed and manufactured as per our defined industrial specifications. Our excellent range of cranes with least maintenance cost is available with many special features and safety measures. We are always conducted to research about the new methods and techniques to continuously improvise the quality and the standard of the product. Economical growth of India is one of the most important matters which include the various industrial terms. Technological advancement is beneficial deal for economical growth of India, so for that our company is always improvising the technical advancement in the product. Due to this our product is most famous in the market and it reaches the high level of sales in the market. After expertise of an about decade, we have form dexterous team to bring forward our excellence as the end products. Our cranes in India contain high significance in the countless industrial activities. We have successfully achieved a high level of customer satisfaction by providing them with a consistently quality product at the right price. After expertise of an about decade, we have form dexterous team to bring forward our excellence as the end products. We always depend only on our skill and technology. Our brilliant range of cranes with least maintenance cost is available with all required features and safety measures. Cranes in India contains high significance in the countless industrial activities. 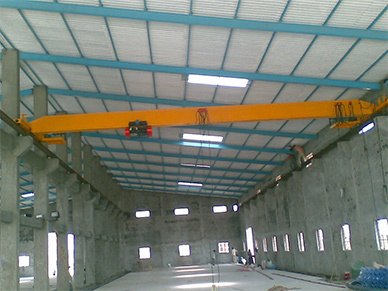 With rich industrial experience, we have developed highly efficient ranges of cranes in Ahmedabad. 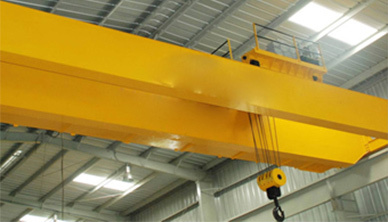 As being one of the most trusted cranes manufacturers of diverse kinds of cranes in Ahmedabad and as well as in whole India, we used to offer easily movable, single girder and double girder cranes. Being trusted manufacturer of cranes, we provide best promising and suitable customize solution according to consumers working space. We MODHESHWARI ENGINEERING AND FABRICATORS is one of the foremost manufacturers of cranes in Ahmedabad and also to continuously improve & innovate the design, quality & manufacturing standards resulting in giving better & efficient performing cranes to our esteemed clients.